Join atleast of us on Discord right now! A lever light? Is that a light switch? I've also created a Glass block light! The block lights itself when you hit it and if you hit again, it turns off. If it is on, it'll send a redstone signal. So if you only wanted regular glass, use that. 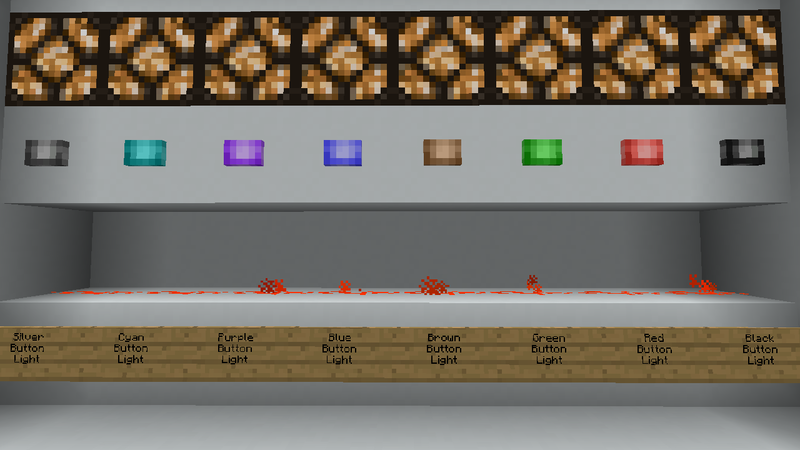 Added the awesome solid textures from Extra Mods and created 16 new buttons that are either on or off like a lever. 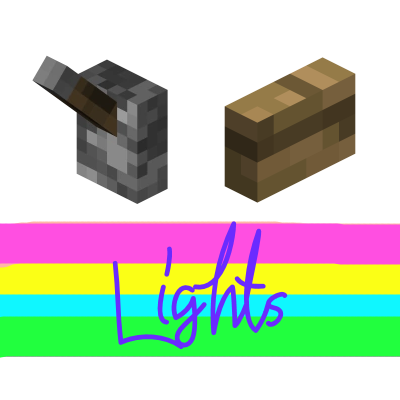 They emit a level 15 redstone signal when on, otherwise 0. When on they look beautiful. 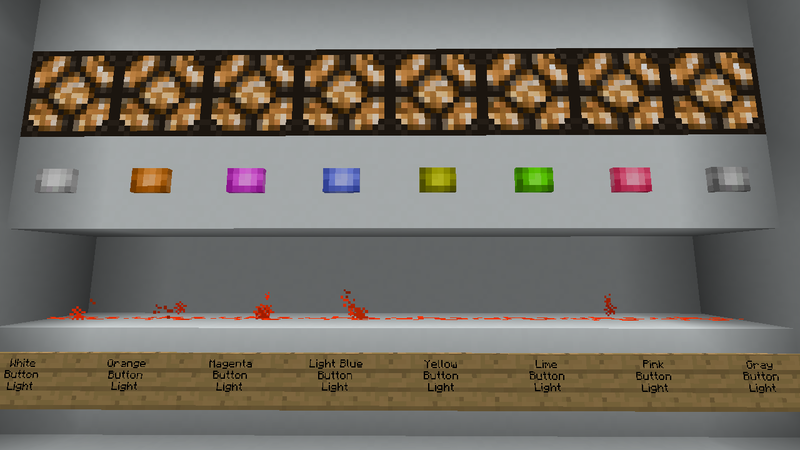 The new colored button lights are formed by placing 1 colored stained glass in a crafting grid. Adjust hit box models to more tight around the buttons and large block light. Implement an Albedo library to have real colored light emanate from the light sources. No need to ask. Add it. A link back would be appreciated but not required. This project is proudly powered by FORGE, without whom it would not be possible. Help FORGE get rid of Adfocus at https://www.patreon.com/LexManos. I can't wait to get this mod with colored buttons. It works good! Thank you! I updated the description yesterday, I didn't add pictures or pop-up figurines yet. That's coming. I wanted to do a whole new video first, honestly. Updated the overview, better video and pictures. Good job! But seems the pairs blue - light blue buttons and green - lime buttons looks the same, good job anyway! Those are Jaquadro's unaltered textures. I'll see what I can do about adding more distinction between those pairs. Thanks for reporting. Also, if the comparison you are making is based only on the screen shots, I can tell you that is likely because the quality is less than optimal thanks to how what Curse does to images on a page. In game there is a distinction. However, I will still go out of my way and try to make it more obvious. I love this idea! I don't think color lights are much of a priority since they wouldn't be proper colored lighting, but the mod is great already as it is! Going in the pack. Colored lights are possible but not easily. I've been working behind the scenes with others to make it simple to do. It'll be some time tho before I have them. What is in the pipe tho is flashing buttons.